Happy Monday! I am proclaiming it to be a fantastic week! How about you? I am so excited to be posting because my dning room cabinet is finally done!!! I am so happy with how it turned out and I can’t wait to show you the results. So enough small talk, lets get to the reveal. But first, I thought it would be fun to show you a real throwback. Like so throwback, that we weren’t living in the house yet. 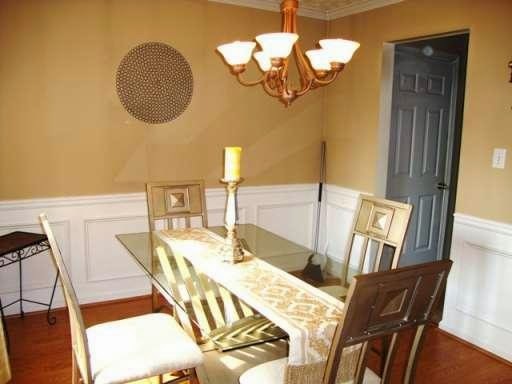 This is a picture from the from the real estate listing. I love throwback pictures because even though I feel like my room changes take forever, the old pictures still allow me to see the progress. Looking at this listing picture shows me that I have made even progress than I think! And this is how the room looked a few weeks ago prior to the cabinet update. To achieve a smooth paint finish, I primed my piece using a Zinnser 1-2-3 Water-Based Primer in white and a sponge paint roller. I did not sand at all, because this primer helps to eliminate this step. I primed with two coats, letting dry in between each step (about 2 hours in between each coat), then applied the paint. After all of your kind comments here and on Instagram, I was able to pick a color. 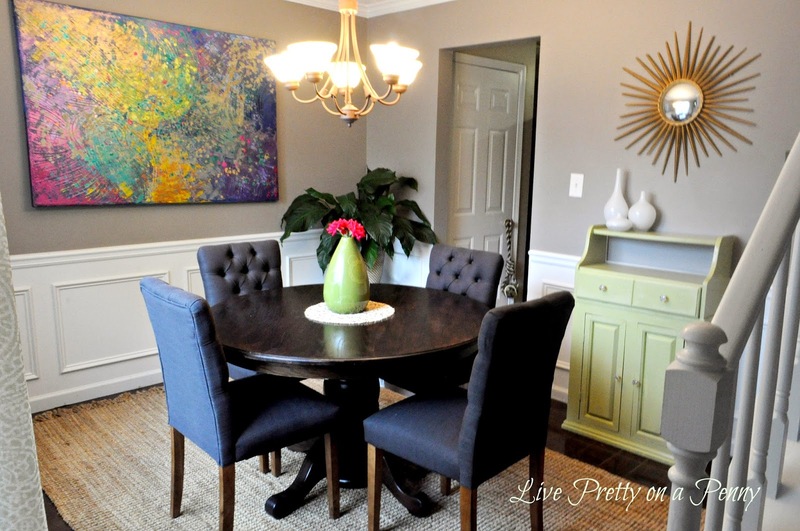 I went with Behr Wheat Grass, color-matched to Glidden paint sample size in a Satin finish. This color is a like a true citrusy green color. It’s so pretty. Following the paint, I went over the cabinet with a water-based polycrylic by Minwax to protect it from scratches using a traditional 2 inch Purdy paint brush. I switched out the original knobs for some medium size crystal knobs from The Home Depot. They were $2.99 each, and I purchased four. I also switched out the original round mirror to a sunburst mirror that was originally in my bedroom. The round mirror will find a new home soon. The sunburst mirror is from The Home Depot and is only $35. Great price for such a stylist sunburst! So there you have it. I hope to finish this room VERY soon. I will be back later this week with a few remaining plans for this room. 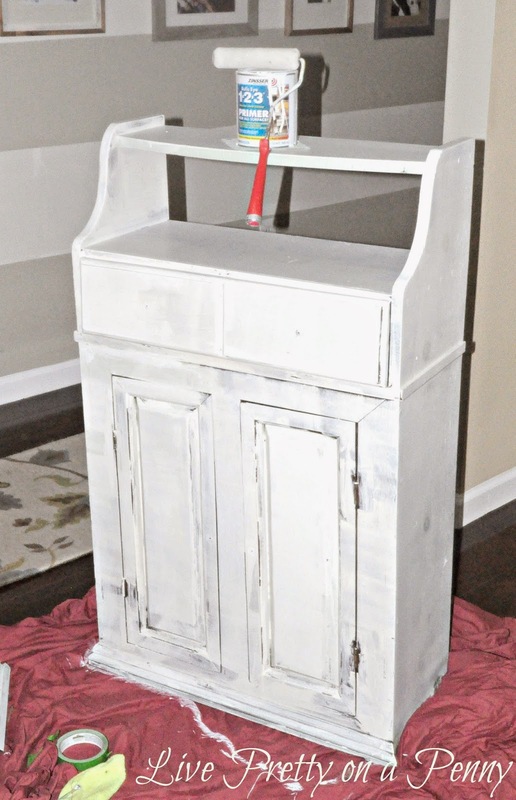 I just love how paint transformed my little cabinet so it has inspired me. Erin, it looks fantastic. Now your eye moves around the room, and doesn't just focus on that gorgeous painting. Love the hardware and the change of mirror too!! Thanks Katrina! I appreciate that. Lovely makeover, Erin. 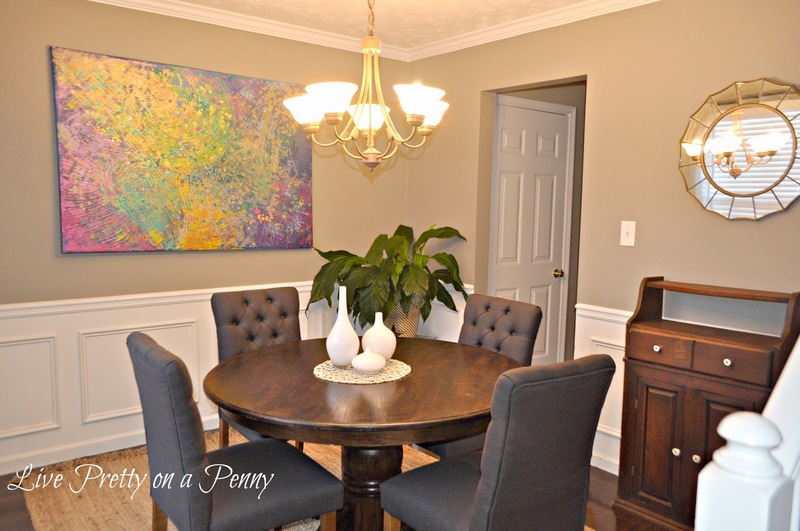 The cabinet balances out the room and adds the perfect accent color. Thanks Dee Dee. Green is a great color no matter what shade. I am happy that i went with this color as it has a nice citrus color to it. Great color choice. 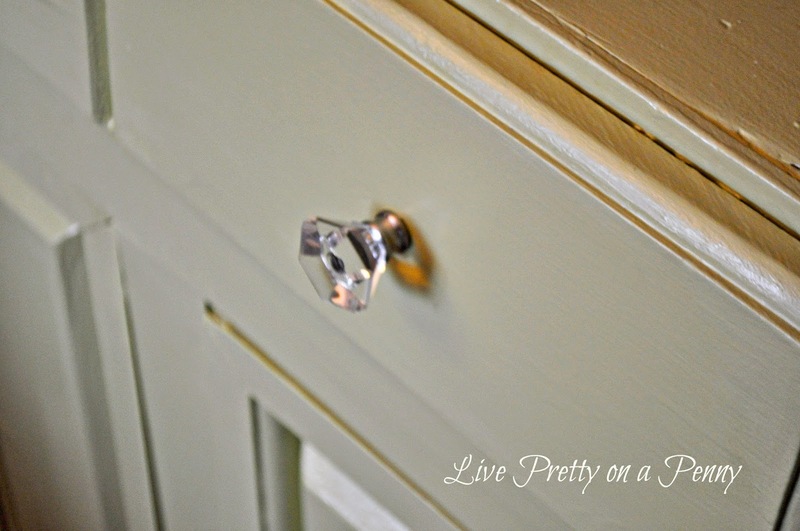 It softens the look of the cabinet and the glass knobs were the extra classy touch. Thanks. I agree. The cabinet has a totally different look now. I love it. Oh I love it! 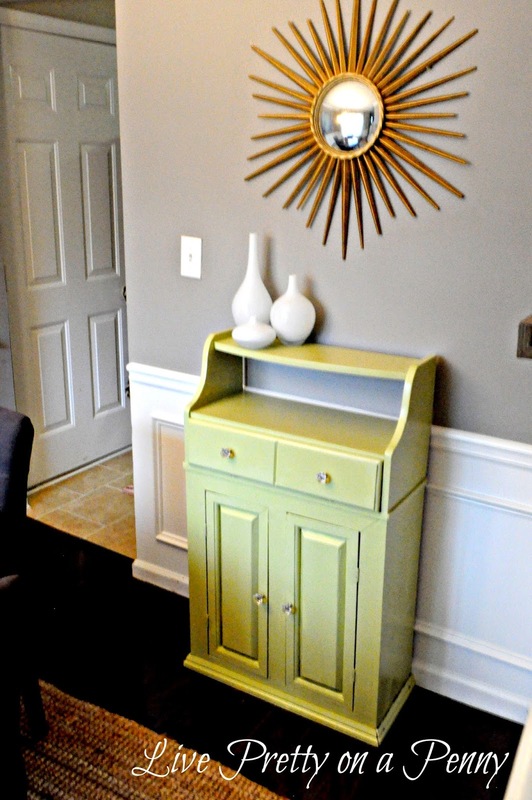 Such a great choice of color and the "new" mirror is the perfect addition. Love, Love.